Today is a very busy day at the Museum of Science since our special exhibit of the Dead Sea Scrolls ends this weekend. I am doing the laser shows tonight and when I came in this morning I received the best news – we are going to start running a Beatles laser show! I am so excited about this. But what I am even MORE excited about is tonight’s partial lunar eclipse! The full Moon occurs this evening, and this time the Moon will be crossing into Earth’s shadow, causing a partial lunar eclipse. Only part of the Moon will be covered by Earth’s shadow, about 76% at the peak of the eclipse. The peak will occur around 7:50 pm Eastern Daylight Time (EDT), with the eclipse ending around 10 pm EDT. Keep in mind that you will still be able to see the Moon during the eclipse since this is a “penumbral” eclipse. This means that the Moon is not passing into the main part of Earth’s shadow; it is passing into the more subtle, outer shadow. So during this eclipse you will notice a variation in brightness levels, not a blacked out moon. Unfortunately, those of you on the West Coast of North and South America will not be able to see the eclipse very well, if at all, in the night sky. But don’t fear! There is a live feed of the total four hours of the eclipse, for those of you who can’t see it in the night sky or for people who may be working late (like me). To find out more about eclipses and why they occur, I recommend watching the Bill Nye the Science Guy episode on the Moon. “Fast forward” to the time stamp 11:20 for the part about eclipses, or watch the whole episode because Bill Nye is amazing! 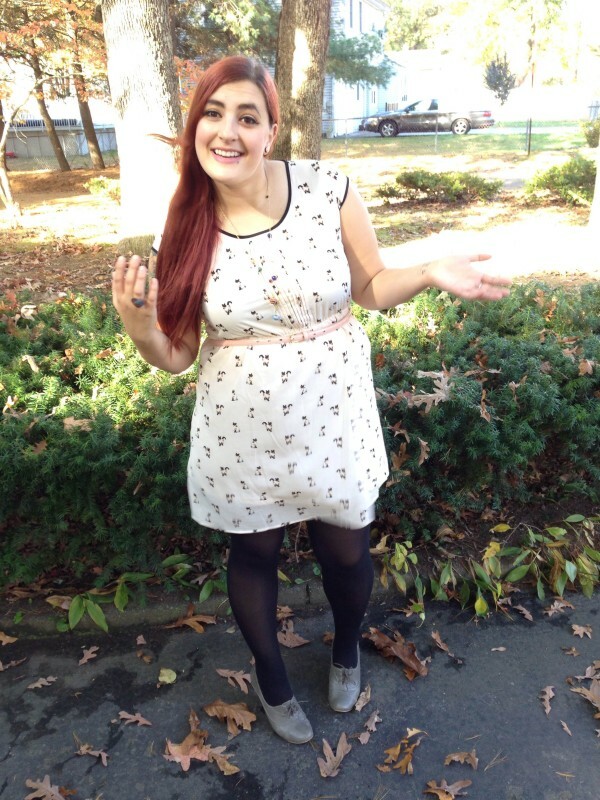 I got this adorable siamese kitty dress from Target the other day! I also found my Nine West shoes that I thought were lost, and I was very happy to see that they went so well with this dress! The Solar System necklace is from my etsy shop, and the distances are actually scaled! Don’t miss the eclipse tonight! Thanks so much! I definitely think being compared to Ms. Frizzle is a HUGE compliment! 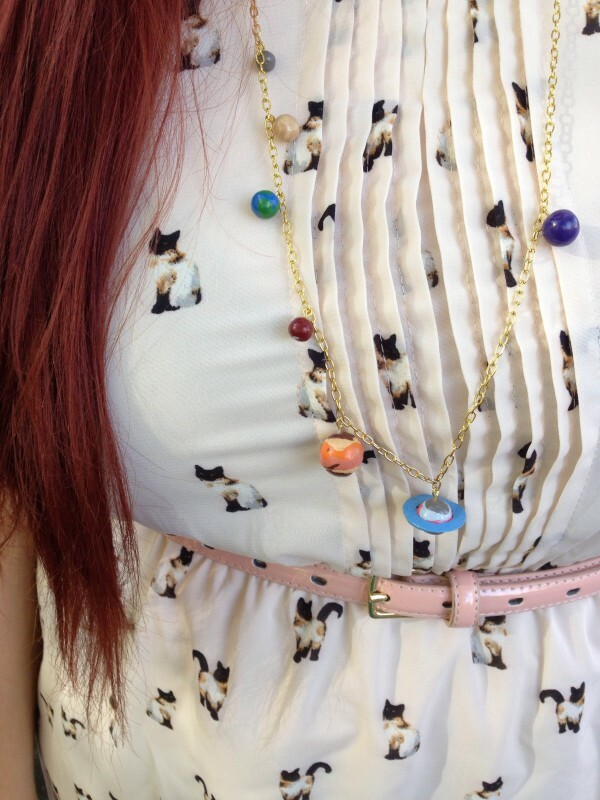 I love cat print fabrics, haha. They are so cute, and this dress is amazing! Great job!